Whether you want to rent out your home because of a change of circumstances or because you have ambitions of becoming a full-time landlord, there are a host of things you need to do. Much will depend on whether you choose a letting agent like Whitegates to manage your rental property for you, or if you wish to self-manage. Check out our guide below which details everything you'll need to do before letting out your home. From last year it became illegal to rent out a property with an EPC rating below E.
If your home sits beneath this rating then you have some work to do to improve its energy efficiency before you can let it out. Every 12 months you must have a gas safety check undertaken at your home if you are renting it out. This must be performed by a Gas Safe registered engineer, who will check appliances, flues and pipework and advise of any work required. From October, all landlords must issue a gas safety certificate to all tenants, alongside a copy of the government's 'How to Rent' guide, as part of the Deregulation Act 2015. If you are renting out your home as a House in Multiple Occupation (HMO), it is a legal requirement to obtain an Electrical Installation Condition Report (EICR). If your property is not being let as an HMO, you are still responsible for ensuring the safety of your tenants and the best way to show you have taken this seriously is to undertake an EICR. Like an EICR in non HMO properties, PAT is not a legal requirement but, again, demonstrates that you are taking electrical safety seriously as a landlord. Should an electrical appliance supplied by you for your tenants' use go wrong, having a valid PAT certificate demonstrates you have taken steps to keep your tenants safe, so is well worth doing. Landlords renting out properties in England must install a working smoke alarm on each inhabited floor of their home. On top of that, carbon monoxide alarms must be in place in each room where solid fuel is used. If you are renting out your home on a furnished basis, the items you supply must meet Furniture and Furnishings (Fire Safety) Regulations. This applies to chairs, sofas, beds and mattresses. Legionnaires disease is caused by bacteria which grows in stagnant water. While it is rare in the UK, as water systems are generally in constant use, it is a legal requirement for landlords to assess their properties for the risks. Once all your safety checks are complete, you should ensure you have permission to rent out your home. Yes, it's your home, but if you have a mortgage on it, you will need permission from your lender. Permission for letting may sit in your lender's terms and conditions, but the best thing to do is contact them and find out what you need to do. While a buy-to-let mortgage is not a legal requirement to rent out your home, your lender may request that you move your home loan to one. If your property is leasehold, you may need to seek the freeholder's permission to let out your home. Most homeowners have buildings and contents insurance to protect their home and the items inside it. But if you decide to rent out your property, this insurance may no longer be valid. Contact your insurance provider to discuss your options. While landlords are not obligated to have contents insurance in place (this is the responsibility of the tenant), you are required to have a valid buildings insurance policy. This is a key decision for a new landlord and it starts by deciding whether to use a lettings agent at all. After that, however, landlords not opting for a full management service would need to manage their property themselves, including dealing with maintenance issues, collecting and chasing rent and performing check-out duties at the end of the tenancy agreement. From February 2016, landlords have needed to check if potential tenants have a legal right to rent in the UK. A lettings agent providing either a full management or tenant find service would undertake this task for you. But landlords going it alone should be aware that fines of up to £3,000 per tenant can be issued should these checks not be carried out. 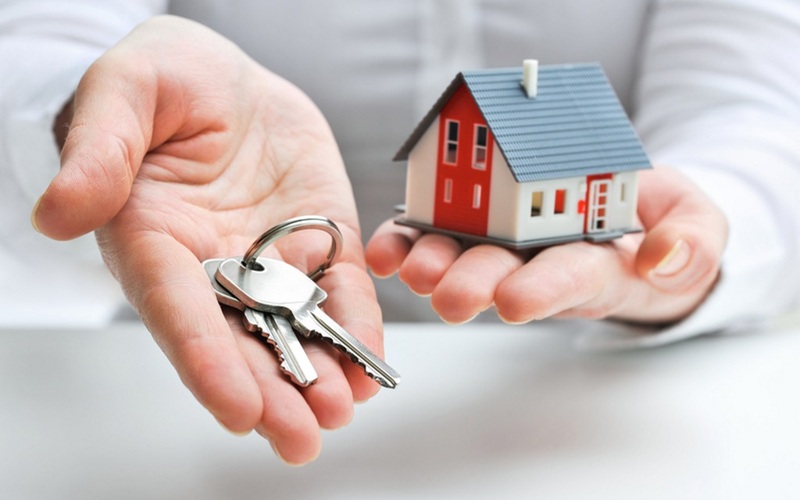 Minimising the risk of property letting is key and tenant screening forms the basis for that. A lettings agent will draw up a tenancy agreement for you under a full management service and most tenant find services. But landlords self-managing should be aware that the tenancy agreement is the official contract giving the tenant a right to rent the property and you to receive rent. The Assured Shorthold Tenancy Agreement is the most common rental contract in the UK and should include details on the tenant, landlord and property, as well as the duration of the tenancy, a payment schedule and notice periods for the agreement to be terminated. Another legal requirement for letting property is that all tenants' deposits must be lodged with a government-approved tenancy deposit protection scheme. The money must be lodged with a scheme within 30 days of the tenancy starting and information provided to the tenant, or the landlord risks being forced to pay the tenant between one and three times the original deposit as a financial penalty. This is a vital report on the condition and contents of your rental property on the day your tenants move in. While it is not a legal requirement to undertake an inventory report, producing one and ensuring it is signed by all tenants can provide peace of mind for all parties. A lettings agent on a full management arrangement and some tenant find services will undertake an inventory report for you, as well as dealing with any amendments. If you are thinking of renting out your home and wish to discuss Whitegates' tenant find or full management services, please contact your local branch today.